Our bodies work so damn hard everyday, and we unfortunately live in state of stress – the old flight or fight- therefore, sometimes its a good idea not to overload the nervous system any more than it currently is. Matcha is an ugrade from your Green Tea. With regular green tea, you brew the leaves in hot water and then throw them out afterwards. By contrast, matcha drinkers consume the whole leaf dissolved in the water along with all the green goodness they contain. 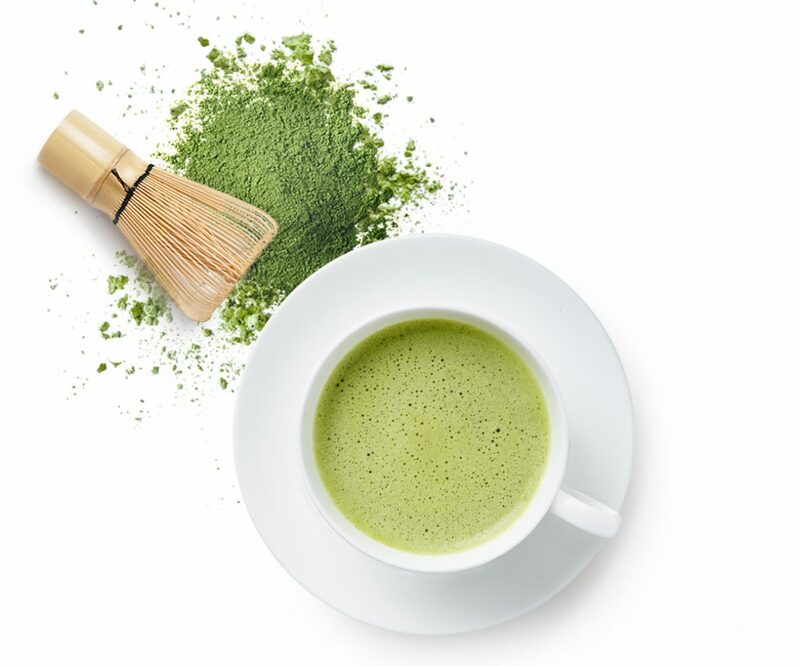 Because of its concentrated form, matcha has up to 137 times the antioxidants and up to 10 times the nutritional content of regular green tea. Matcha tea leaves are also grown under special shades to increase the chlorophyll and antioxidant levels even further. Brew 1 cup of hot water, not boiling as this will burn the Matcha powder. Add cool water if required. Add in 1-2 tablespoons of Brain Octane or Coconut Oil to the hot coffee (Brain Octane is STRONG – start with 1 tsp. and work up over several days). Mix it all in a blender for 1 minute until it is frothy like a foamy Matcha latte.